Talisay City, NEGROS OCCIDENTAL – The Secular Augustinian Recollect Fraternity in Talisay City, Negros Occidental celebrated its 25th founding anniversary last September 1, 2018, first day of the novena to San Nicolas de Tolentino, patron of the parish and of the city. The whole-day affair was divided into three parts: the holy mass followed by a simple breakfast, a customary first Saturday-of-the-month ritual sponsored by the SARF; the midmorning and afternoon programs with a sumptuous lunch in-between; and the evening program. 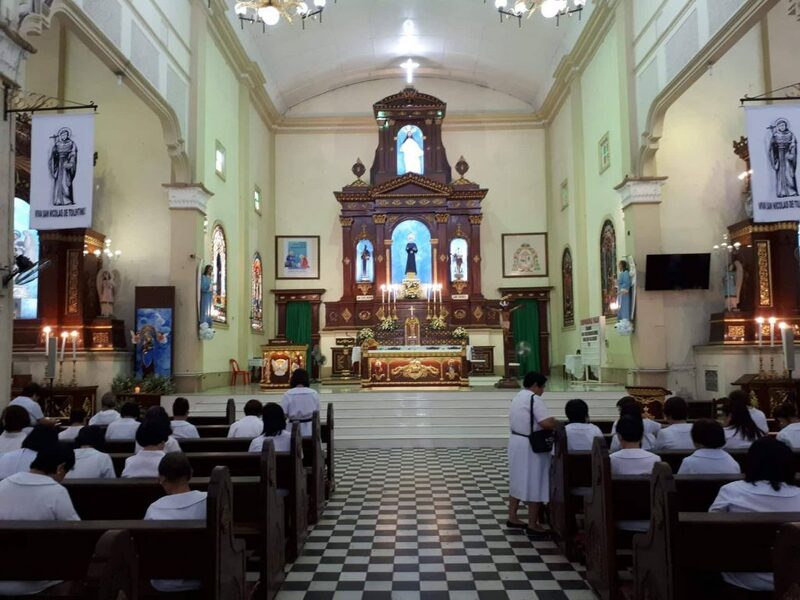 Fray Leonardo Pauligue, OAR, local prior of Recoletos de Talisay community and Spiritual Director of the local fraternity of the Secular Augustinian Recollects, presided the 6:00 AM mass in the parish church. In the light of the gospel periscope, Fray Pauligue exhorted the congregation as a whole to share their gifts, not just the material blessings, because in this way they can reap up to a hundredfold of what they received from the Lord. Some resident friars and former Spiritual Directors of the SARF concelebrated in the said thanksgiving mass. The singing of the Salve and Ioseph, part of the Recollect traditional practices on Saturdays, and the praying of the lauds, followed immediately after the mass. Then, everybody assembled at the hallway adjacent to the San Vicente Ferrer Chapel for breakfast. At the second floor of the St. Vincent Chapel and Multipurpose Complex, the midmorning program opened with an invocation prayer and the singing of the national anthem via pre-recorded tracks. Sis. 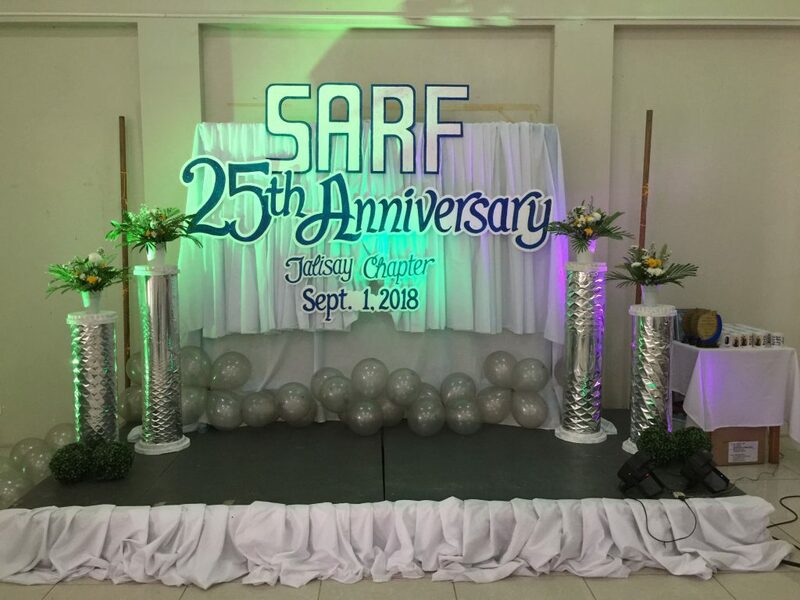 Rose Mary Chua, incumbent President of the chapter, delivered her welcome address briefly highlighting the present apostolate of the SARF-Talisay. Fray Pauligue then gave his message challenging the SARF members to continue to witness to their commitment of living the “secular” or lay counterpart of the Augustinian Recollect charism. Sis. Rosario Mamon, better known as “Ms. 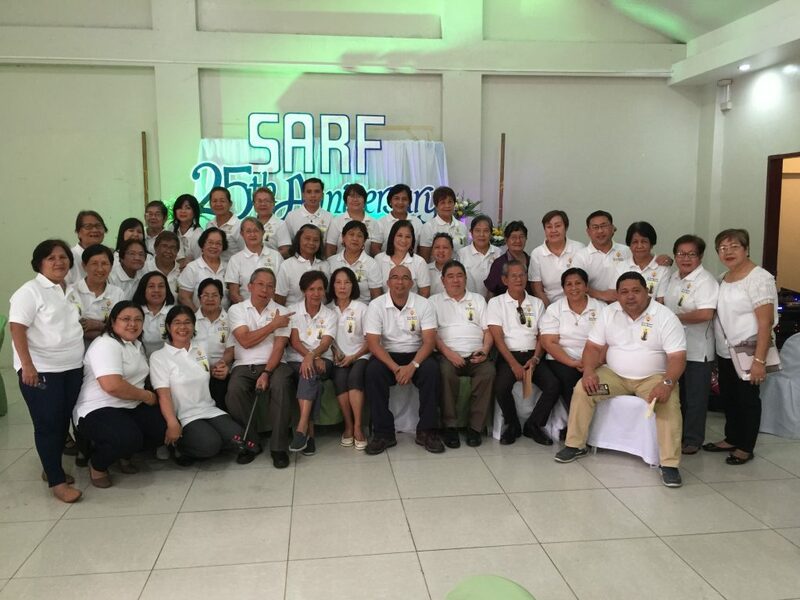 Mamon” who was among the pioneers, traced the interesting beginnings of SARF-Talisay Chapter, its evolution in terms of membership and outreach programs, and enumerated in chronological order its Spiritual Directors. After that, an entertaining dance number performed by the younger members and a heartfelt message from Fray Sixto Bitangjol, OAR, last triennium’s Spiritual Director, were “served” as preprandial appetizers. Lunch followed. Just when almost everybody had finished his meal, Fray Jose Ernil Almayo, OAR (Spiritual Director, 2011-2015) gave a short input in a form of a reminder. 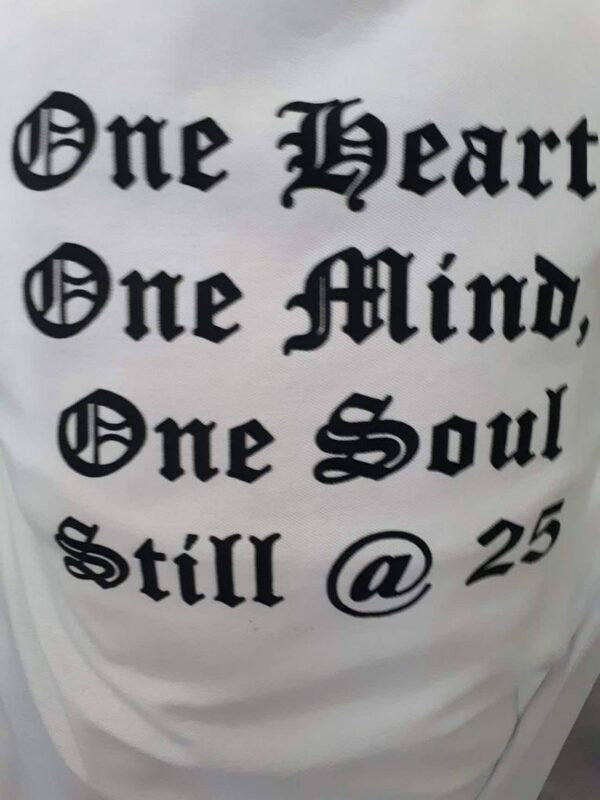 He used the acronym SARF to refresh everyone that S, which stands for “Secular” is the common ground of the vocation to serve God and the Church, and that it is the nest from where religious and priestly vocations came. “Secular” does not mean “worldly” but rather “lay,” he said. A stands for “Augustinian” as it stresses on the primacy of love. “That love is basically expressed towards God, towards our immediate community, and towards the wider community,” he pointed out in Hiligaynon. Those three expressions correspond to the contemplative, communitarian, and apostolic dimensions of our charism, he added. R stands for “Recollect” as it always calls for interiority, and therefore, requires detachment from the world and certain relationships that stand in the way of our vocation to love (remember its three expressions?). Fray Almayo said that this ascetic aspect drives us to strive for more, for something higher, for something greater. And F stands for “Fraternity” or communion. Just like every home which is a “domestic church,” every SARF chapter is a miniature church, a communion with one heart and one mind intent upon God. The call, then, is for this communion to create communion, Fray Almayo concluded. Towards the end of the program, Sis. Chua and Fray Pauligue gave the certificate of loyalty to each pioneer member and certificate of appreciation to the Spiritual Directors. Fray Niño Cesar Ruiz, OAR, parish priest gave the closing remarks. Despite heavy downpour, the last part of the day’s activity which consisted of dinner, bonding and dancing was pushed through. “Kanami man kay natapos gid kag mahulat naman ta sa sunod naman nga parehas sini” (“The celebration was successfully held and let’s look forward to another milestone like this”), related Sis. Rose Torres, the Vice President of the chapter.